(b) Using a screwdriver with its tip wrapped in protective tape, release the airbag connector lock. 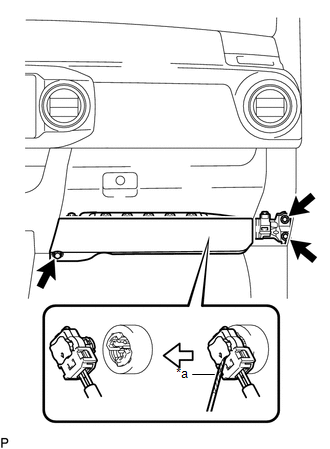 (c) Disconnect the airbag connector to remove the lower No. 2 instrument panel airbag assembly.